FAYETTEVILLE, Ark. 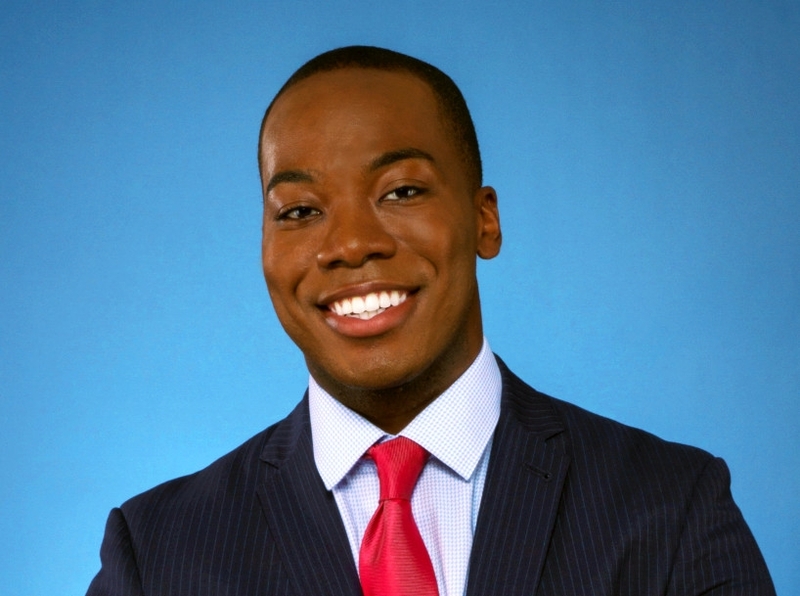 – Tevin Wooten, who graduated from the University of Arkansas in 2014 with a bachelor’s degree in broadcast journalism, has been hired as an on-camera meteorologist for The Weather Channel. "Tevin has been focused on a career in weather reporting for years, and he's earned this new opportunity," said Larry Foley, chair of the School of Journalism and Strategic Media in the J. William Fulbright College of Arts and Sciences. “He pioneered weather coverage at UATV, the campus TV station, and he received national recognition for team coverage of the Faulkner County tornado when he was an undergrad. Tevin is not only a hard working, talented pro, but he's a wonderful person, and we're really proud of him. He's come a long way from when he arrived on our campus from Camden, yet he remains humble and totally connected to his roots,” Foley said. Wooten worked at KNWA and FOX 24 in Fayetteville as a general assignment reporter and fill-in weather anchor and producer after graduating from the U of A. He won an Emmy Award (Mid-America Chapter) in 2016. Wooten enrolled at Florida State University and recently graduated with a second bachelor’s degree in meteorology. He interned at The Weather Channel last summer and also served as a weekday weather-anchor for Florida State University’s weather show, FSU Weather.